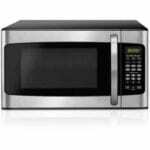 years of history and that is why our professionals have all the needed skills and knowledge to perform the best microwave repair in Clovis area. Our Clovis microwave repair service specializes in both over-the-counter and built-in microwaves. For these both types of microwaves our microwave repair specializes in very quick, top-quality and quite competitive rates. If your microwave is not heating the food, there are issues with the spinning plate, sparks can be noticed or the door latch is broken, our appliance repair near you can help. Go to our page and schedule a service online. Or you can simply dial 559 960 0798 and invite our microwave repair technicians to your house to fix the issues. There is no need to wait until the microwave completely dies out. One simple call can save the broken unit. Call 559 960 0798 and free yourself from the headache and unnecessary stress. Call us today and get everything fixed.